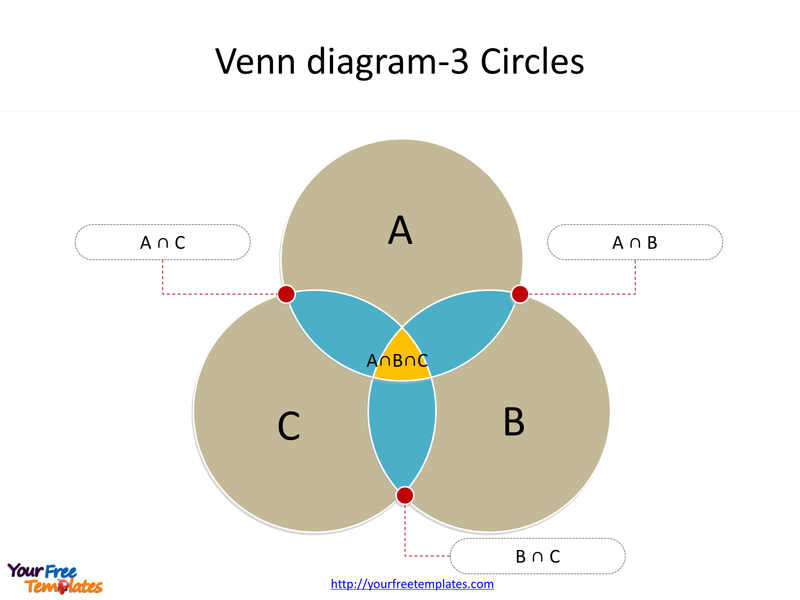 The Venn diagram Template in PowerPoint format includes three slides. Firstly we have the Venn diagrams with two circles. Secondly we present Venn diagram template with three circles. Thirdly Venn diagrams are composed of four circles. As the same diagram PowerPoint template series, you can also find our Maslow’s hierarchy of needs, Data Mining, Machine Learning, cloud computing, Artificial Intelligence and BlockChain PowerPoint templates. 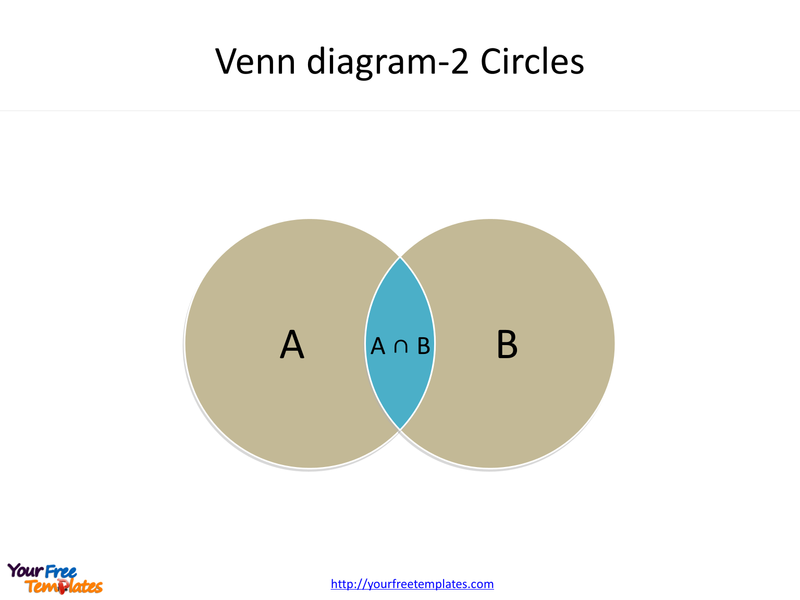 The Venn diagrams PowerPoint templates include three slides. Slide 1 and 2, Venn diagram template with two or three circles. A Venn diagram consists of multiple overlapping closed curves, usually circles, each representing a set. The points inside a curve labeled a represent elements of the set A, while points outside the boundary represent elements not in the set A. 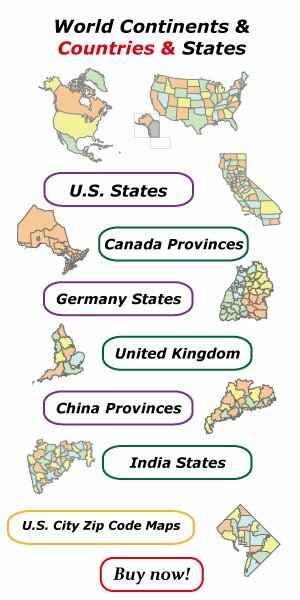 This lends to easily read visualizations; for example, the set of all elements that are members of both sets A and B, A ∩ B, is represented visually by the area of overlap of the regions A and B. In Venn diagrams the curves are overlapped in every possible way, showing all possible relations between the sets. It is the same demonstration for three circles. Venn diagrams are similar to Euler diagrams. However, a Venn diagram for n component sets must contain all 2n hypothetically possible zones that correspond to some combination of inclusion or exclusion in each of the component sets. Euler diagrams contain only the actually possible zones in a given context. In Venn diagrams, a shaded zone may represent an empty zone, whereas in an Euler diagram the corresponding zone is missing from the diagram. 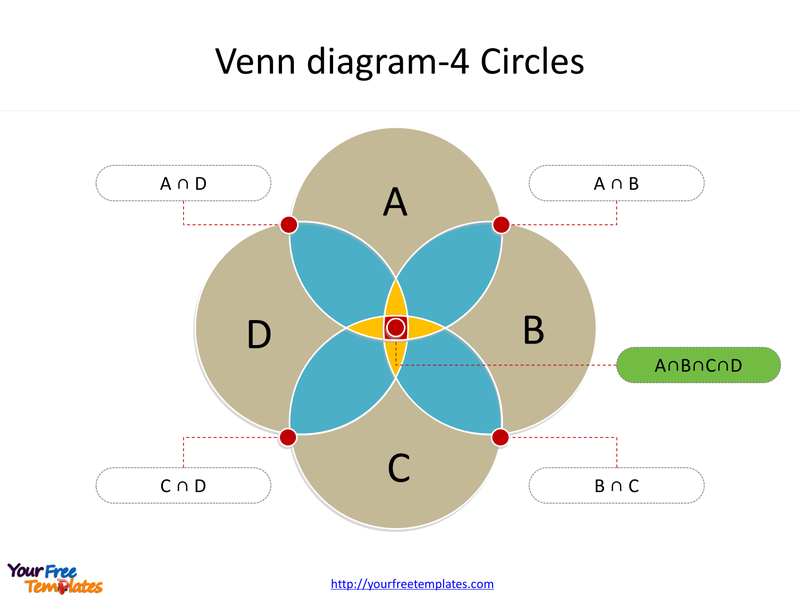 Slide 3 Venn diagrams template with four circles example. The region in both A, B , C and D, where the four sets overlap, is called the intersection of A, B , C and D, denoted by A∩B∩C∩D. For detailed info on Venn diagrams, please refer to Wikipedia.